A lot of us experienced quite a bit of turbulence in 2017. The end of my year was quite unsettling and to be honest, left me wondering and questioning if I had heard some things correctly. We all have that and the Lord is perfectly fine with our questions. He had given me a word to soak on for a good part of 2017 for 2018. That word was “Fullness”. I felt overwhelmed with His goodness with all He was showing me regarding this word. Walking into His Fullness for the New Year; what a great and exciting thing! I know it is still that amazing goodness that we will be walking in because tied to that is His Full Restoration; restoration for all that was lost and/or stolen, especially familial relationships. He is going after His family this year. All those shattered and impossible relationships will find His restoration. I had a brief dream the other day that I felt led to share. This is so important for this New Year! We are going to see the Lord move us at an exponential rate in every aspect of our lives and His preparation in and around us will be in place! Things may seem or feel a bit chaotic, but His Peace will surround you and bring clarity to every moment and situation He is bringing you to and through. I kept seeing the number 32 yesterday. Anytime that happens, I know the Lord is trying to tell me something and He took me to Isaiah 32:17-18. The verses made think of years 2017 and 2018. For all the things He is bringing us to this year, you will have His perfect Peace. The other day, Mark and I were talking about how times come when you feel you’ve reached a peace over life and circumstances, over dreams and future plans, and then all of a sudden, doubt and fear of disappointment try to cover over all of it. As we were discussing this, a scene in the movie “Liar Liar” came to my mind. If you’re not familiar with this movie, the basic synopsis is that this lawyer’s son makes a birthday wish in that his dad cannot tell a lie. So, as this unfolds and the lawyer is discovering that he can’t lie, he goes in his office, grabs a blue ink pen and tries to say that it’s red. He then tries to write out that it’s red; all ending up in failure since both avenues are lies. I know this is a difficult thing to actually do. I know how hard it is to keep a hold of Faith and Hope. So many of us have dreamt big dreams and been left in the dust of disappointment. I know. But, the Lord wants you to know that now is the time to hope again. Now is the time to shake off past disappointments. He will not disappoint you. When your hope is IN Him, when your faith is IN Him, you will know that His plans, His purposes over your life are going to be overwhelmingly fulfilling! He gave you those dreams to inject your faith with immeasurable hope! Fight off the doubt. Fight off the fear of disappointment. Hold onto His promises and His word. These things WILL BE! Jacob’s promise was peace with his brother that he had wronged. He was journeying back because the Lord promised him reconciliation. And, then fear came at him. He sent blessings ahead of him to decrease the fear coming at him. In his solitude, the Lord appeared. Jacob grabbed a hold of Him and wrestled for that promise. This promise meant everything to Jacob. To him, it was worth the struggle, the pain and the exhaustion. “I will not let go until you bless me”, as in “do what you promised!” Not only did the reconciliation happen, he was given a new name; a new identity as an entire nation. The promises and dreams over our lives are only a glimpse into the fullness of what the Lord has planned for us. We’re not contending for selfish desires, we’re contending for all that will be affected by our dreams being fulfilled. It has been and will always be Kingdom and for His Glory; our lives reflecting His Love and Goodness! It’s too big and too good to give up on! Don’t quit! Keep wrestling! Morning is coming!!! Memorial Day (here in the USA) is a day to remember all our service men and women who have laid down their lives for our freedom. Their blood on the battlefield has been payment for the freedoms we live under in this country. My admiration for these people and their families is and will always be indescribable. When we are in love with someone, we think about them all the time. Since this past holiday weekend, I couldn’t help but think about Jesus laying His life down for my freedoms as well. The freedoms that transcend the place I reside in; these freedoms gifted to me go so far beyond. They give me peace in the midst of storms, provisions in my needs, love for the “unlovable”, forgiveness for everything not apologized for, forgiveness for myself and all the things I’ve ever said and done, an eternal freedom in Heaven when my time is done here on this Earth. This freedom is like a breath of the fresh air on the first day of spring, breathing in all the fragrance of the budding flowers and grass; all the new life coming into bloom. His willingness to give up His life for me so that I can experience these freedoms leaves me blown away every moment of every day. Then, I’m left with this question for myself: Is there anything in my life that I’m willing to lay down in sacrifice for Him? When you’ve been blessed with a freedom like this, you want to do something to honor it. Not because you have to or because it’s required, but because your heart is filled with gratitude. How has my life honored this? Am I just enjoying the freedoms or am I truly honoring it. I wrote about this in a previous blog post (Net-Breaking Blessing) that I’m constantly being reminded of. This story about Simon Peter (Luke 5:1-11), a fisherman by trade, had been out all night long trying to bring in a harvest and was grossly unsuccessful. Pulled his boat to shore early that morning, cleaning off the nets and closing up his day and likely full of frustration and discouragement, is now asked by Jesus to use his boat. He then gets Jesus on his boat, puts out a bit from the shore and Jesus preaches a message to all who were following him. After the message, Jesus tells him to go out into the deeper waters and cast his nets on the right side of the boat. After a long night of unsuccessful fishing, the last thing I’d want to do is more fishing. But, he did it and not only did Jesus fill the nets with fish, they were in such abundance the nets were breaking and the boat was sinking! Once they got to shore, Simon Peter was in awe of this miraculous thing that had just taken place. Jesus spoke purpose over him and Simon Peter’s reaction was to leave his blessing right there on the shore to follow Jesus into an unknown future. I share this to say, what have we sacrificed out of our adoration of Jesus and the blessings He’s gifted us? How could we become fishers of men if we hold onto the blessing for ourselves? How would we gain wisdom without trials? How would we grasp a hold of peace if it weren’t for storms? How would we recognize the amazing and lush greens of our Promised Land if we hadn’t experienced the elements of the desert? The thing we have to continually sacrifice is our flesh. Our flesh wants the fruit from the Tree of Knowledge of Good and Evil when wisdom tells us the Tree of Life is all we truly need. Our flesh wants the blessings without sacrificing some comforts to become all the Lord has called us to be. I suppose Simon Peter could have still been a fisher of men while enjoying the spoils of that net-breaking haul, but I don’t believe he would have been as successful as we was. He still would have reached lives, but not at the level of impact that he had. No matter our choices, the Lord will use us. It’s our choice to learn and understand Heaven’s accounting. Simon Peter became more blessed than that load of fish. Wholly blessed, inside and out, not just isolated to his bank account. So, my challenge is this: to be willing to lay my life down in sacrifice, walking away from what appears to be the blessing I’ve been praying and hoping for; realizing that if that is so amazing, He has something so much better in store. We have to strive not for the blessings, but for the purpose He has on our lives. It’s not about me, it’s about Him working through me to reach the ones who haven’t met Him yet. Becoming “fishers of men” in this life. I’ve been meditating a lot lately on the Leper that was healed after Jesus’ Sermon on the Mount. 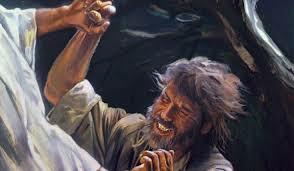 In Matthew, chapter 8, it begins with Jesus coming down the hillside and a man with leprosy approached & knelt before Him. He said, “Lord, if you are willing, you can make me clean”. He didn’t ask for healing, he asked to be cleansed. 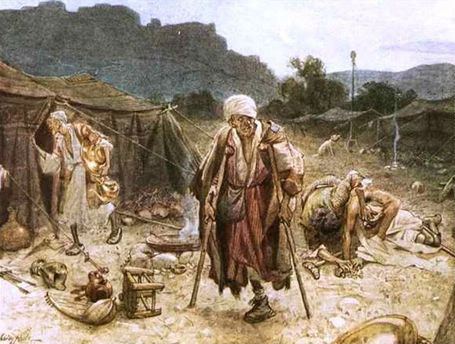 In that time, lepers (along with other diseases) weren’t allowed outside the sick community they were banished to. They were sent away to live with other afflicted (unclean) people to either get better or die. So, for him to appear in this public place amongst the crowd (perhaps he was hiding) was unheard of. He asks Jesus if he is willing. Jesus reached out his hand & touched the man. He TOUCHED HIM!! This simple, single act made him human again and showed all the onlookers the value Christ saw in him. In front of this large crowd of people, Jesus touched someone deemed “unclean” and made him clean. 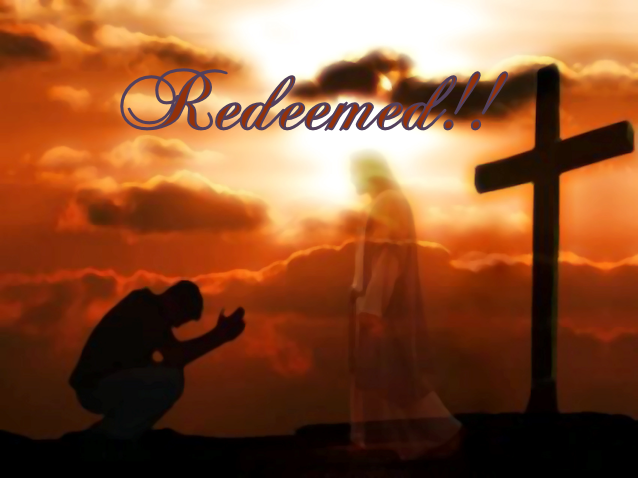 This man that has been cast aside, rejected, assumed and left for dead was finally looked upon with compassion; was touched by kindness and acceptance; unconditional love. This man did not just walk away healed from his leprosy; he was released from his imprisonment of solitude and rejection. He didn’t choose to have leprosy. He didn’t choose to be rejected. His choice and desire was to rise above the labels and hope for something more for his life outside of the death placed upon him. Jesus gave him the opportunity to do so. How many of us have rejected others because of their “afflictions”? Afflictions can be anything, but I think these days, it tends to be peoples’ choices and/or their lack of perfection in handling life. Have you judged people and placed them undeservingly into the Leper’s Camp? A lot of us have given reason and justification to people throughout our lives to banish us. Call it boundaries, tough love, whatever; some of the time, it is done properly and done with love. Unfortunately, what I have found is that a lot of the time, it is not. It has only added to the pain and deepened wounds. The only thing I have found that can heal all of this is the unconditional love from our Heavenly Father. I didn’t learn it or receive it from anyone here on this Earth. I found it, I found Him while in solitude. When all that darkness closes in on you and you can’t hear any voices, you can’t see your hands in front of you; He shows up. He reaches out His loving hand and touches you, despite all of your uncleanliness. He accepts you just the way you are in your broken mess. 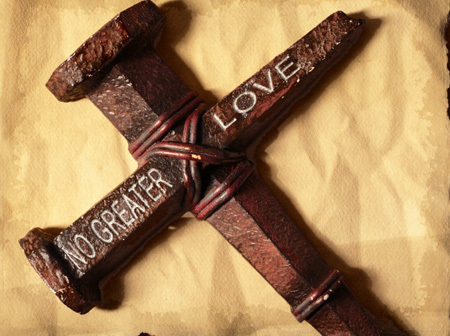 His perfect love cleanses you, heals you inside and out, and restores you to someone better than you were before. Then, that power He used to heal you has been given to you to walk into that Lepers’ Camp and heal the rest. No more rejection, no more pain, forgiven; whole. Who do we know in this life that needs that acceptance? We are called to be like Jesus. It’s our job to walk into the Lepers’ Camp and make the “unclean”, clean. One loving word, one act of kindness will not only heal the visible ailment, it will breathe life into their souls.